This time of the year everyone is busy with Christmas parties, end-of-year drinks, family catch ups and New Years Eve celebrations. Sadly, it is hard to have a good time without alcohol. It’s easy to get carried away and get involved in severe alcohol and food indulgence, only to regret it the next morning. Hopefully past experience with holiday hangovers taught us not to drink too much. If not, maybe we’ve learned a way to drink and avoid the next morning effect. 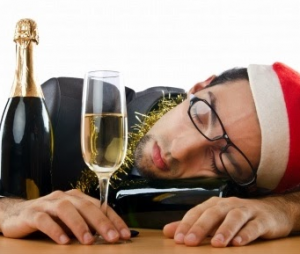 But another Christmas Party is here….and you are left with a hangover again! All that booze you slammed the night before makes you feel like you have been in a centre of a volcano. You are thirsty and irritable, everything in the room is too bright and every sound is magnified. Your muscles feel weak and wobbly, and you have been vomiting for the whole morning. A hangover is essentially dehydration and an electrolyte imbalance. Alcohol suppresses the production of vasopressin, a hormone that regulates kidney function. Without it, you start to excrete a much greater volume of urine than normal, which leaves you in a dehydrated state. In general, each shot of alcohol makes you urinate an extra 120 millilitres of urine on top of your normal urine output. Dehydration can lead to headaches, dry mouth, dizziness,weak muscles, fatigue, and confusion. It can also throw off balance electrolytes in your body. Electrolytes are vital to good health, as our cells, particularly nerve, heart and muscle, use them to carry electrical impulses to other cells. Our kidneys work hard to keep electrolyte concentrations in the blood constant when they’re affected by changes, such as a hangover. Humans have handy enzymes that break down alcohol, called acetaldehyde dehydrogenase and glutathione. But when we drink too much, the enzymes can’t keep up, and acetaldehyde, a toxic substance builds up in your body, increasing the severity of the hangover symptoms. Everyone has a different level of alcohol intake that triggers hangover symptoms. Women have less body water volume, making alcohol more concentrated in the body, so can be more susceptible to its effects. It’s believed that genetic predisposition for alcohol tolerance and individual patterns of intake can influence the effect of a hangover. Well, you did have that final drink, that put you over the top – and now you’re paying for it. Water is magical elixir that makes your body function. 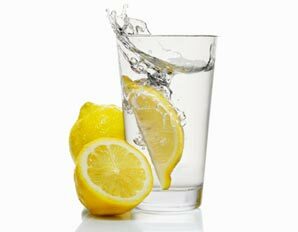 Rehydrating your body is the key to recovering from the hangover! Alcohol is a diuretic, which means you’ve lost a lot of water, in result, your liver and kidneys can’t process the alcohol properly to rid your body of toxins. Along with water, alcohol increases the loss of electrolytes, which are essential for proper body function and hangover prevention. 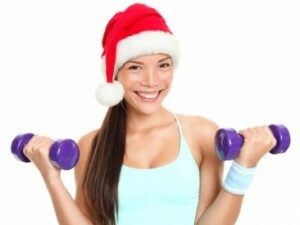 A balanced electrolyte formula is the first choice to help you avoid a “hangover hell”. B vitamins are water soluble vitamins and easily depleted with alcohol. B vitamins are essential for the body to metabolize alcohol and to replenish the energy levels after an alcohol intoxication. Popping a B Complex before you go to sleep will help your liver and you will feel much better in the morning. Vitamin C is an antioxidant, that can help neutralize the effects of the alcohol byproducts such as acetaldehyde. Dehydration from alcohol may deplete vitamin C and hamper your body’s ability to recover quickly. Due to alcohol’s diuretic effect, the body loses of magnesium. Take a dose of Ultra Muscleze, to calm your nerves, and squelch the jitters and boost your energy. St Mary’s Milk Thistle (Silymarin) is an antioxidant herb that protects liver cells and helps neutralise toxins, like alcohol, from damaging the cells. It can help you process alcohol more quickly and is a great hangover remedy. The protein in eggs provides the body with needed energy. Eggs are also good as they’re packed with cysteine, which is said to mop up the destructive chemicals that build up in the liver when it is metabolising alcohol. Bananas are your best friend! They are a good source of essential potassium, which you already know is lost when you drink too much alcohol. All you have to do is peel and eat. This easy remedy works wonders. Cut 10 to 12 slices of fresh ginger root and combine with 4 cups water. Boil for 10 minutes. Strain and add the juice of one orange, the juice of half a lemon, and 1/2 cup honey. To make a toddy, boil 1 cup water and mix in honey and lemon juice to taste. This beverage replenishes fluids and sugars lost to a hangover. Coconut water is probably one of the most promising natural hangover cures as it naturally contains essential electorlytes-sodium, potassium, magnesium and calcium. Put an ice compress on your aching head and rest. 13. Get moving and get some fresh air! If you can stay vertical, go of a jog. Oxygen improves metabolic rate, which boosts speed at which alcohol is broken down. Doing a little exercise, such as a light jog or walking, can help flush out toxins, get you to drink more fluids, and distract you from the pounding headache you probably have. Start the night off well-fed and well-hydrated. Try to drink 1 Litre of water before you go to bed. As you drink, pace yourself and alternate with non-alcoholic beverages. Stick with one or two types of alcohol. Continue to eat when possible throughout the night. Even though you’re extremely tired and a cup of coffee seems like the best way to wake you up, try to stay away from it. Caffeine will only dehydrate you more and will irritate your gut. Avoid taking pain killers to cure hangover. Painkillers and alcohol most certainly do not mix. Panadol can cause more damage to your liver and Ibuprofen can cause stomach bleeding. The best way to reduce your chances of getting a hangover is to not drink so much. When in doubt, remember this rule!